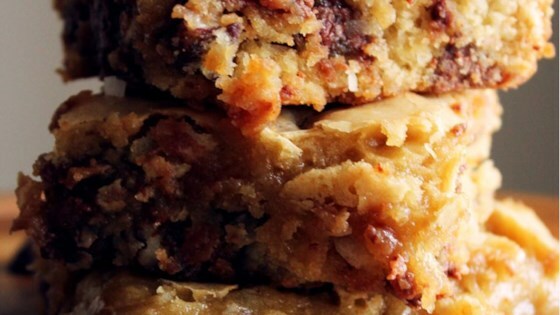 "You can't eat just one of these delicious bar cookies packed with chocolate, coconut, and walnuts." I took these bars to a youth gathering at our church and they disappeared very fast! I was afraid they were going to turn out like chocolate chip pan-cookies, but they were sooooooo much better!